Because Cosmo Girls always come prepared. With summer in full swing, who isn't busy planning those beach trips with friends or mapping out the best ways to enjoy the warm, lazy days by the shore—and the hottest beach parties? Before you bury your toes in the sand and work on your tan, take a moment to make sure you have all these beach essentials with you before you head out. SPF! SPF! SPF! We can't say it enough. However fun it may be to soak up the sun, you still need to load up on sunscreen. 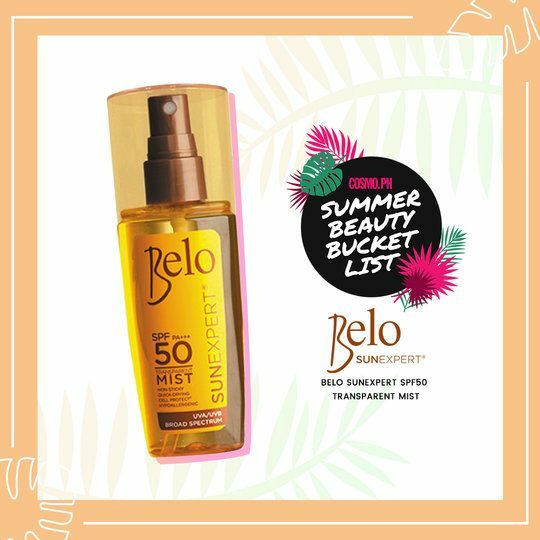 Broad-spectrum sun protection is one of the reasons why Belo SunExpert SPF50 Transparent Mist is the ultimate beach buddy. Awarded the Cosmo.ph Summer Beauty Bucket List seal, this non-sticky, water-resistant sunscreen lets you spray at any angle, and it dries right after spritzing. Thanks to its transparent formula, don't expect to see any awkward white streaks on your skin upon application. Belo SunExpert has SPF 50 and PA+++ and helps prevent premature skin aging. What would the perfect beach trip be without the perfect bikini? Summer's most smokin' styles include polka-dots, fruit prints, frilled sleeves, front-tie tops, and cheeky bottoms. Pack smart by including double-duty outfit options such as bikini tops and maillots you can also use as tops and pair with breezy skirts or pants—great for dressing beyond the beachfront or partying at night. As one of the cardinal rules of heading to the beach, a wide-brimmed summer hat is an essential accessory to keep your face protected from the harsh sun. You can either wear a floppy hat that's easy to pack or a cute baseball cap in summer's coolest floral prints. Complement a great swimsuit with an awesome pair of sunnies. 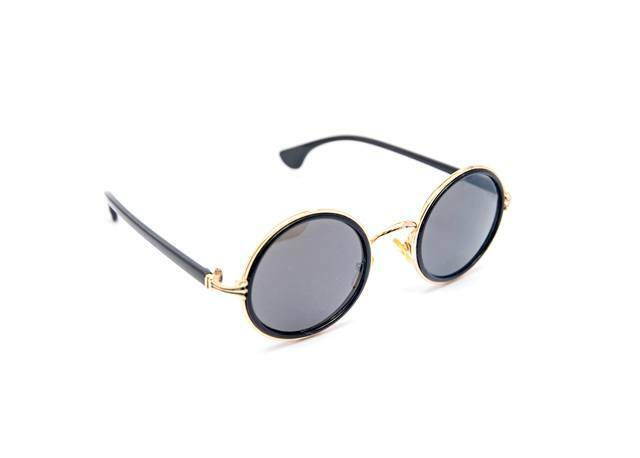 The hottest styles this season include micro-frames, sleek cat-eye shades, and candy-colored mirrored lenses that are sure to spice up your resting beach face. Great trips should always be accompanied by an unforgettable soundtrack. Simply connect a portable waterproof speaker to your phone, and you’ll have the best party experience under the sun. Go for speakers that pack enough bass to be heard a few towels down, but cute enough to be carried anywhere. Carry your beach essentials in style. 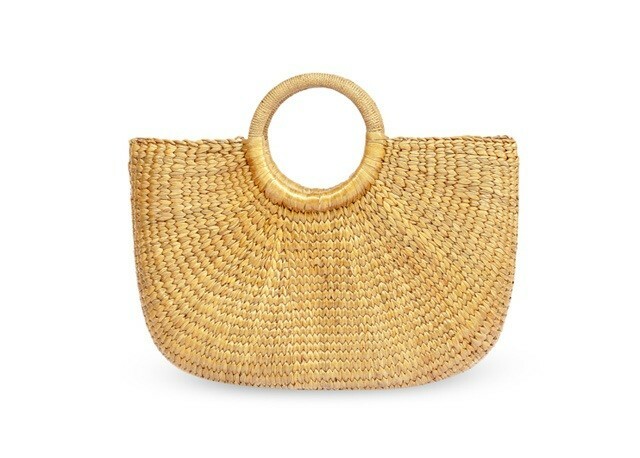 Go for a bag that matches your surroundings: a structured raffia bag or a roomy straw tote. Just make sure it's sturdy and durable enough to hold all of your beach essentials including a sunscreen like the Belo SunExpert SPF50 Transparent Mist. Bring this Cosmo.ph Summer Beauty Bucket List fave with you to the beach to keep your skin protected from the sun. Follow Belo SunExpert on Facebook to find out more about their products. This article was created by Summit Storylabs in partnership with Belo SunExpert.